Easing back in to 2012 and back in to some cooking classes at Cook The Books. 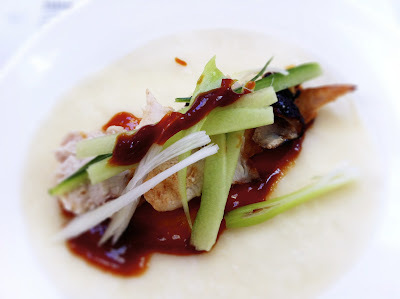 Last week was South East Asian Street Food. 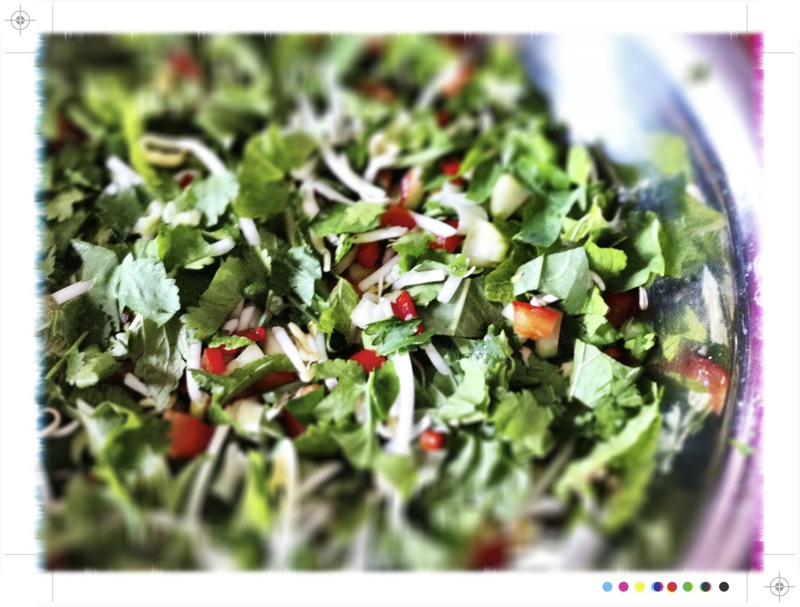 Perfect for this time of year, light yet bursting with flavour...coriander, chilli, coconut, mint and that wonderful sweet sour hot combination that gets me every time. 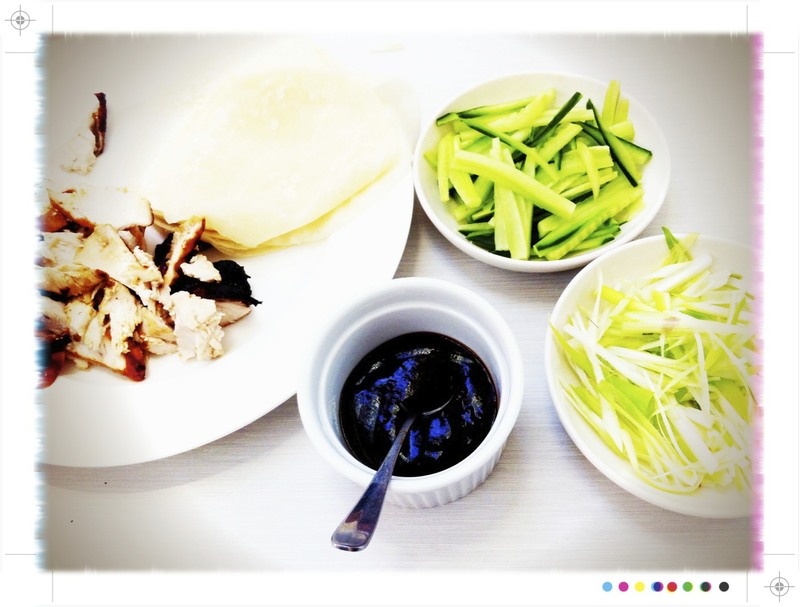 To start our journey in South East Asia a twist on Peking Style Duck Pancakes, the twist being chicken. The chicken, skin on people as you can't have crispy without skin, is basted in a mixture of lemon, honey, soy sauce and rice wine and left over night to dry out the skin. This makes for crispy, a little charred and full of flavour skin and tender juicy flavourful chicken which works wonders when wrapped up in a little pancake with strips of cucumber, spring onion and a little hoisin. This is a great dish to kick off an evening as everyone can tuck in and help themselves to make up their own little pancakes. Next up some Coconut and Chicken Broth. If you like tom yam soup, you will love this. For me the coconut takes it to a whole new level. Creamy, rich coconut, heat from the chilli, sour from the lime, fragrant and aromatic coriander and kaffir lime and not to forget my favourite; fish sauce delivering that unique unami savouriness that only fish sauce can. This one is most definitely too good not to share so watch this space. 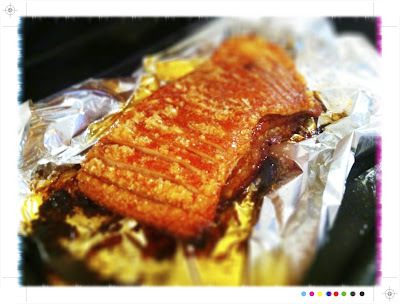 Also on the menu Crispy Pork Belly with Vietnamese Herb, Red Pepper and Red Onion Salad. Do I really need to say anything more than Crispy Pork Belly? I thought not. 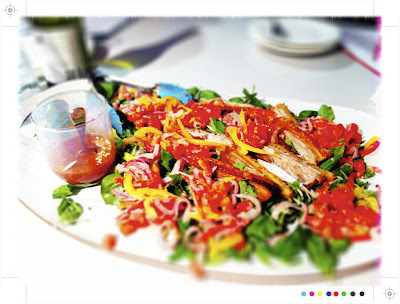 What can I say about this one...the crispiest skinned pork belly, wonderfully fragrant herbs, a bright colourful salad all topped off with a spicy, sweet, sour Nuoc Cham dressing. This one was quite exceptional. This would be another that most definitely needs to be shared. 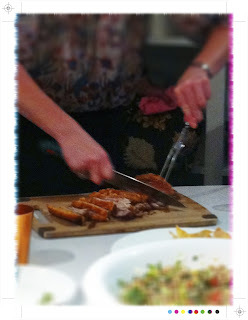 And not to forget the Tamarind Pork. 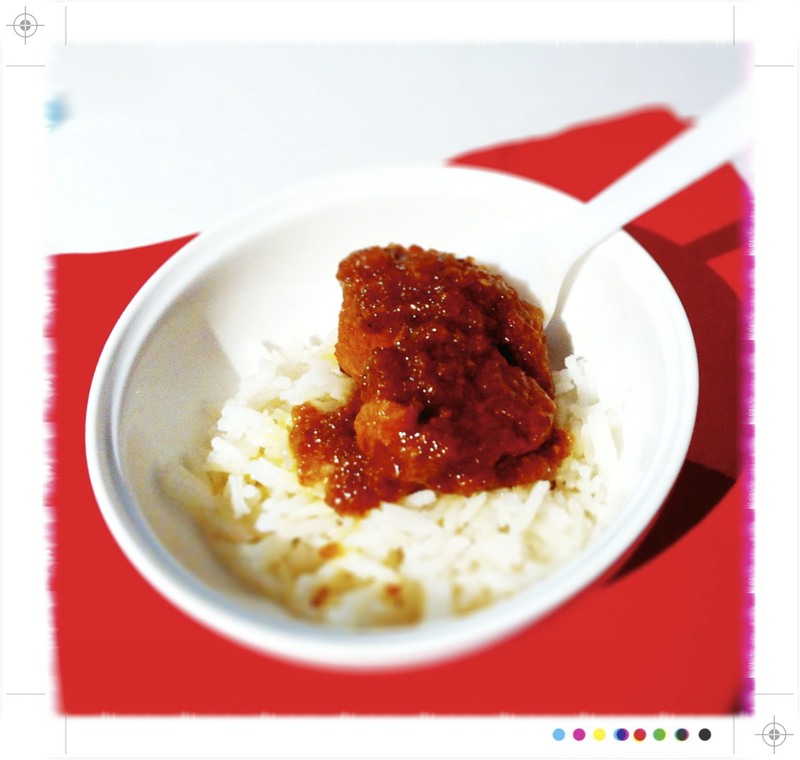 Meaty, rustic and full of flavour atop some perfectly cooked rice. To finish Banana Coconut Tapioca Pudding. 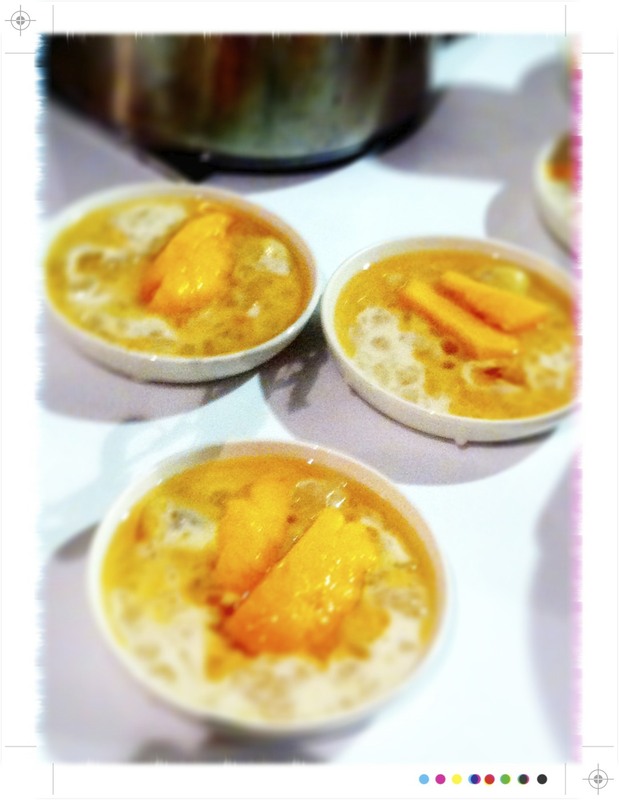 Everyone attested it was wonderful and normally I wouldn't be able to go past a combination of coconut, mango, banana and a palm sugar caramel, however tapioca (or rice pudding ) would be my food 101! I have tried to overcome the horrors of being force fed school dinner puddings but suffice to say I think it has scarred me for life. 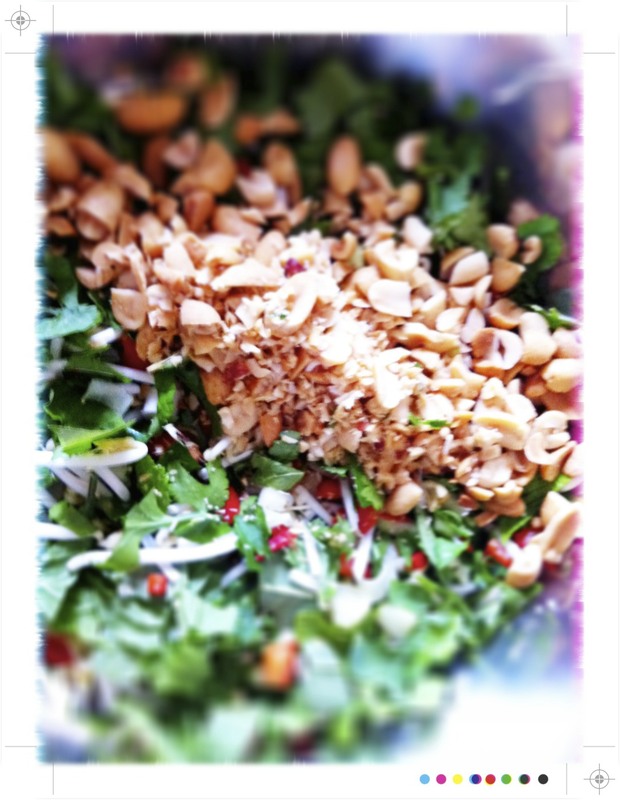 In amongst all of the above there was also a wonderful Pork Larb Salad which got a run last night. 1 long red chilli, finely diced. To de-seed or not to de-seed I will leave that up to you depending on your heat preference. *If you can get hold of Vietnamese mint do give it a try as it does offer a quite distinctive layer of flavour. It is a little mint, a little peppery, a little lemony, and even a little soapy....yes hard to describe! Heat the chicken stock over a medium high heat in a large frying pan or wok and add the pork mince. 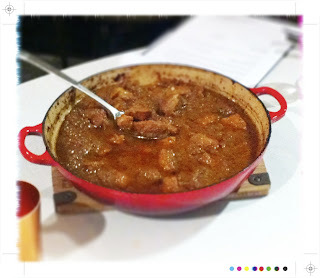 Add the ginger, garlic and chilli and break up the meat with a wooden spoon. Cook for 5-10 minutes until the meat has browned and cooked through and the chicken stock has all but evaporated. Add the fish sauce, lime juice and sesame oil and mix to combine. Remove from the heat, cover with a clean tea towel and mince to cool slightly. Taste and adjust the seasoning if need be with a little more fish sauce, lime juice, sesame oil or a little pepper. Serve on a platter with baby cos leaves to scoop up the larb. Or you could serve in little wonton baskets for a little bite sized canapé as we had at Cook the Books last week. Lightly spray a muffin tin (regular or mini) with oil and press in the wonton wrappers to make little baskets. Very lightly respray the wonton wrappers with oil and pop in the oven. Bake for 8-10 minutes until crisp and golden. Like nuts or crostini keep a close eye on them as they will go from crisp and golden to to crisp and burnt to a crisp very quickly. Remove from the oven, carefully take out the baskets and cool on a wire wrack. 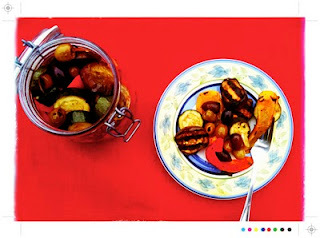 These can be made ahead and stored in an airtight container until ready to serve. Possibly my new favourite salad and it will be featuring on the lunch and dinner menu for me next week. 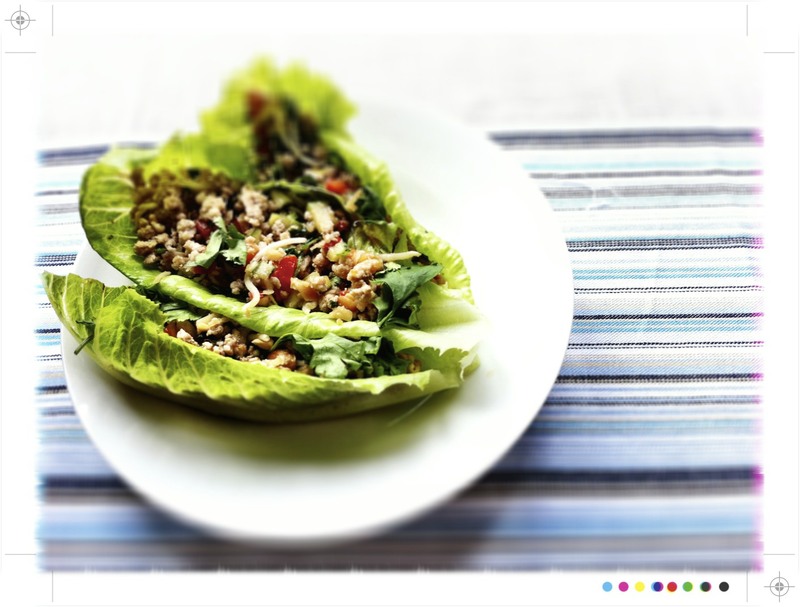 Mounded on to crisp cos lettuce leaves it is light, fragrant and full of flavour. Savoury pork, hot and sour, fragrant and aromatic, clean crunchy bean sprouts, and crunchy salty peanuts...yes this one pretty much covers it all. YUM! Delicious. Oh man. I can't get over the flavour combination running through my mind! Pork mince is going on my list for the supermarket this week! I am very much looking forward to the next few posts too! Thanks Mags everything was so good! 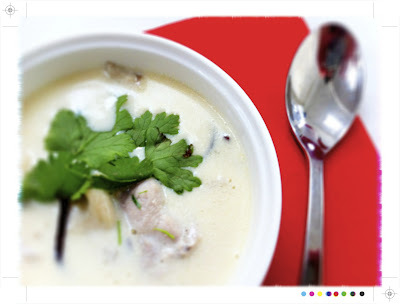 I have nearly eaten a whole batch each of the pork larb & the chicken & coconut broth. Of all the cuisines in the world, Asian is the one I cook the least and I don't know why as I've had some of the best meals I've ever tasted travelling there. 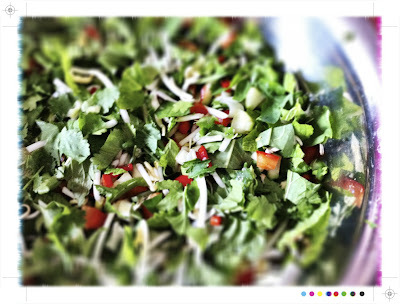 This looks like a wonderfully fresh salad. The wonton basket are a great idea :-). And I love photo number 3 :-). 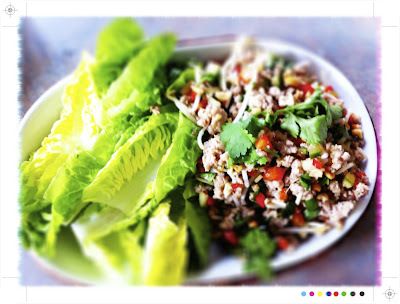 I love larb and it is favourite Laotian/north Thai dish. The best example I ever tasted was in the first tiny village we met coming into Laos from Vietnam. 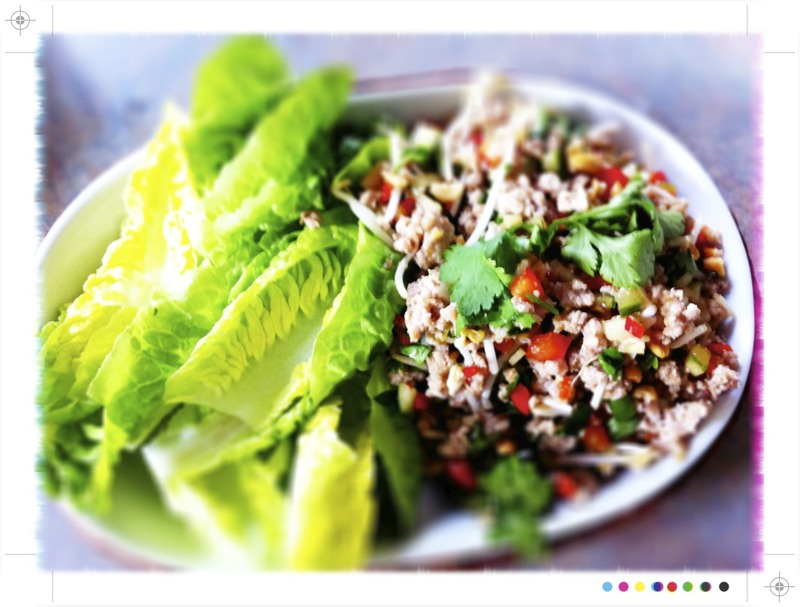 It was a fish larb and tasted amazing. No toasted ground rice in this recipe? Thanks Genie, not toasted rice in this one. 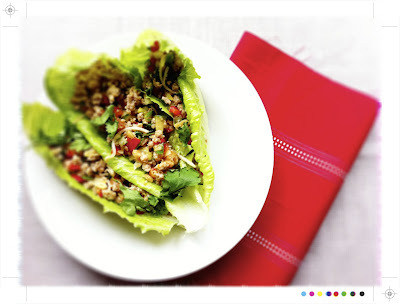 Fish larb sounds amazing too, I just love all the fresh & fragrant herbs. Another batch being cooked up today. Those Cook the Books classes always sound SO great. The larb looks great but man, that pork belly! I'd be in heaven. 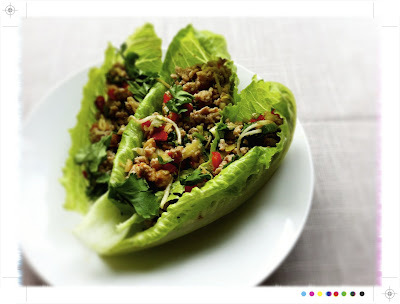 I have never tried larb, but have heard so much about it. 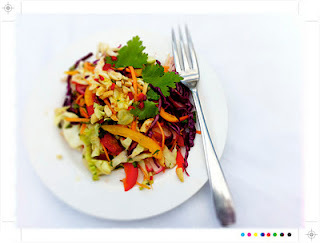 Just like my Blood Orange Salad fit into your "menu", so does your Larb fit into mine:) Love it!